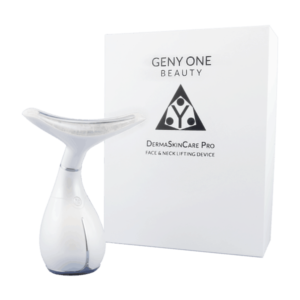 The Face & Eye Lifting Device, Derma Skin Care Pro is a highly effective eye treatment device, designed to help with the opening and closing of facial pores. The technology involved uses a hot and cold vibrating massager. While the cooling temperature will help to close the pores and will ensure nutrients and vitamins stay within the surface. The Face & Eye Lifting Device, Derma Skin Care Pro is a highly effective eye treatment device, designed to help with the opening and closing of facial pores. The technology involved uses a hot and cold vibrating massager. 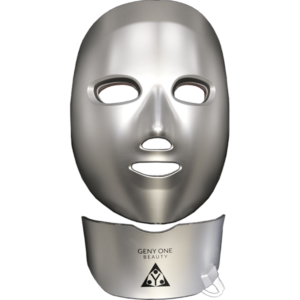 The heat within the invention helps to open up your pores to allow products to penetrate further into the skin. While the cooling temperature will help to close the pores and will ensure nutrients and vitamins stay within the surface. The massage function helps to stimulate blood circulation and tighten the facial muscles. 1. Apply any skin care product on the area you wish to treat, preferably a neck cream or serum. 2. Select the mode you require(red, blue) and apply the device on the skin upwards. Make cell tissue activity, Stimulate blood and lymph make virtuous circulation, irritating to the skin, increase the skin’s internal secretion motility, take care from deep skin, improve wrinkles, color spots, acne and sagging skin effectively. Strength the muscle and skin cell movement, change the cell volume, enhance the permeability of the cell, improve metabolism and regenerate ability. Stimulate nervous system and cell function, make your skin more elasticity and luster. RED Light is one of the most powerful colors to increase blood circulation. Stimulate skin cells to excrete collagen to achieve firm and smooth texture. BLUE Light has excellent effect of curing acne and kill bacteria. It can adjust skin sebum secretion and effectively get rid of acne. GREEN Light is used for anti-aging, smoothing wrinkle and fine lines, curing wounds purpose. This device can be used in front of the neck and the back of it, as well for the shoulder parts. Apply any skincare product on the area you wish to treat. Select the mode you require and massage it with the device gently from down to up. For the best results, use it at least three days a week for 4-5 minutes.